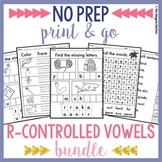 Also included in: Phonics Activity Pack *BIG Bundle! Bright and Cheerful Accelerated Reader (AR) or other reading incentive points! This is a one page worksheet. 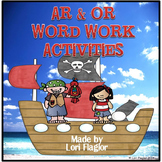 It is a cut and glue page to review the ir, or, ur, ar, and er phonic sound digraphs. Thank you for shopping on teachers pay teachers. Please feel free to visit my store, Becky's Classroom Products. Feedback is truly appreciated. Have a great day! This is a 52 slide PowerPoint on ir,er,ur, and or words. 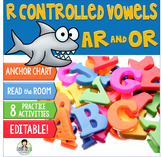 The PowerPoint offers links to youtube videos concerning bossy r words. 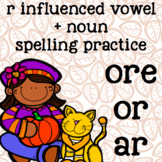 This packet, and 34 more, available in the Year of 2nd Grade Spelling and Grammar Mega-Bundle! 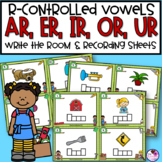 Click here!Students will get r-controlled/ r-influenced vowel practice with these 15 spelling words and 5 hands-on practice activities! This fall leaves, autumn packet is perfect for early second grade.